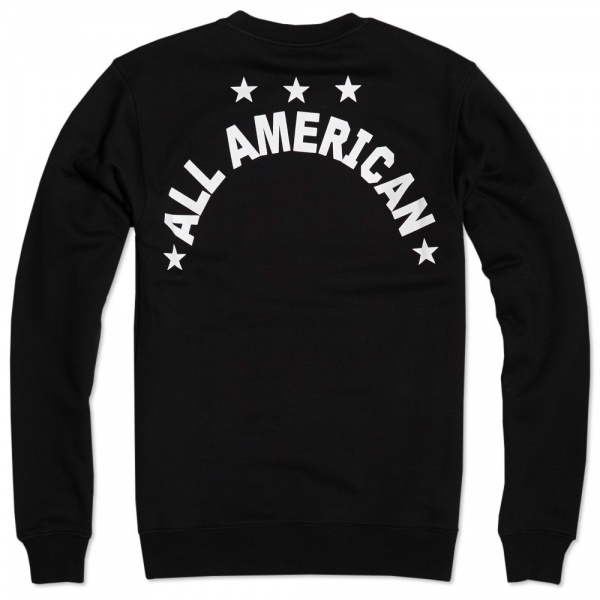 New for Autumn/Winter 2013, Black Scale are our latest addition to our every growing roster of streetwear’s heaviest hitters, coming armed with a selection of their distinctive graphic print tee’s, sweats and limited edition cut and sew pieces. 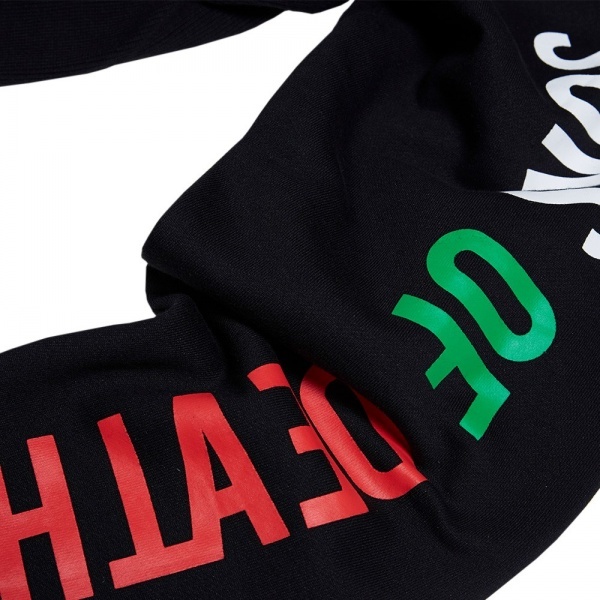 Inspired by the hidden depths of the world around us, Black Scale’s work riffs on traditional typography and conspiratorial imagery, creating pieces with a dark edge and an attitude all of their own. 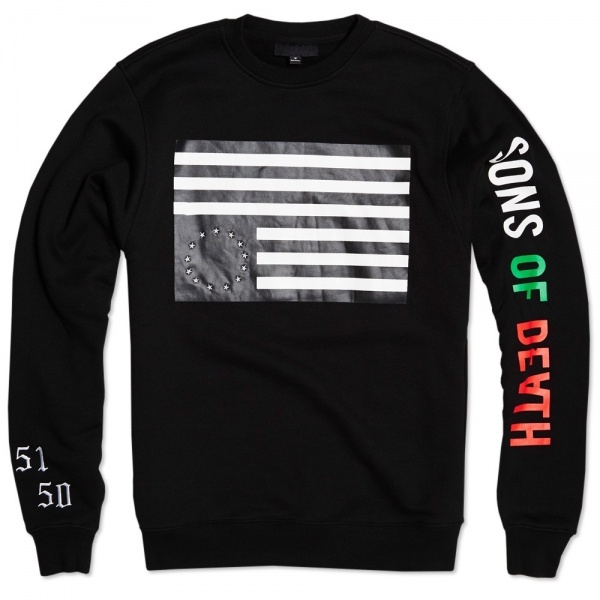 The 5150 Rebel Crew Neck Sweatshirt is cut from a heavyweight fleece backed jersey and features a selection of embroidered and print graphics, sitting across the chest and sleeves.